DIW Berlin: Wagner, Gert G.
Leibniz Network "Non-Cognitive Skills: Acquisition and Economic Consequences"
Gert G. Wagner is Professor of Economics, Senior Research Fellow at the German Socio-Economic Panel Study (SOEP), Max Planck Fellow at the MPI for Human Development (Berlin), Research Associate of the Alexander von Hmboldt-Institute for Internet and Society (HIIG) in Berlin and member of the "National Academy of Science and Engineering (acatech)". Wagner is Co_editor of the "International Journal for Re-Views in Empirical Economic" (www.iree.eu), chairman of The Social Advisory Council (Sozialbeirat) and he serves on the German Advisory Council for Consumer Affairs, on the Advisory Board to Statistics Germany and on the evaluation panel of the Research Foundation - Flanders (FWO). In 2018 Gert G. Wagner received a honoris causa doctorate (Dr. rer. pol. h.c.) from the Faculty of Management, Economics and Social Sciences of the University of Cologne (Universitaet zu Koeln). In 2007 Wagner was awarded the "Knight's Cross" of the Order of Merit of the Federal Republic of Germany. 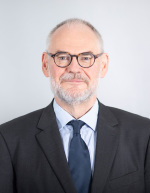 From 1989-2011 Wagner was director of the German Socio-Economic Panel Study (SOEP) and from 2002-2018 he was Full Professor of Economics at the Berlin UNiversity of Technology (TUB), 1997-2002 Full Professor of Economics at Viadrina European University of Frankfurt (Oder) and 1992-97 Full Professor of Public Administration at Ruhr-University Bochum. In the academic years 2008 to 2010 Wagner taught as a fellow at the Max Weber Center for Advanced Cultural and Social studies in the University of Erfurt. In celebration of Gert G. Wagner’s 65th birthday, he was presented with a Festschrift in his honor: Innovation und Wissenstransfer in der empirischen Sozial- und Verhaltenforschung (innovation and knowledge transfer in the social and behavioral sciences), edited by Marcel Erlinghagen, Karsten Hank, and Michaela Kreyenfeld, Frankfurt am Main and New York: CAMPUS.